Isn’t it funny how your taste buds change as you grow up? I used to hate aubergine as a child and now I’d say it’s one of my favourite vegetables. This salad is simply gorgeous, I bet if you make it next summer and you invite your friends for a barbeque there won’t be any left and your friends will be asking you for the recipe. It’s very versatile and can be enjoyed hot or cold. · Generous amounts of cooking olive oil. Heat the oven to 200C. 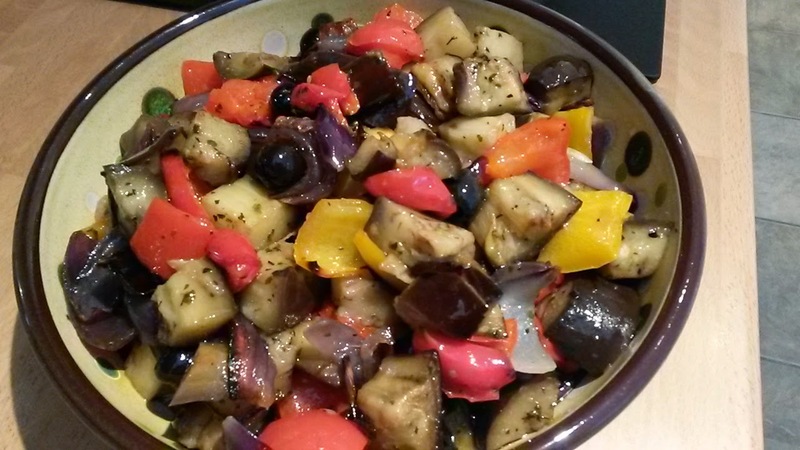 Chop the aubergine and peppers in big square chunks and place them in a large roasting tray. Chop each red onions in 8 segments (normal onion also works well – I prefer red) add to the other vegetables as well as the olives. Season with salt/pepper and dried mixed herbs or oregano. Mix it all well with generous amount of olive oil and place it in the pre-heated oven for roughly one hour. It’s a good idea to check half way through, mix the vegetables and if necessary add some more salt and olive oil. Don’t let it overcook so keep an eye from the second half onwards. Enjoy hot or cold. It can be kept in the fridge for a few days. I first enjoyed this recipe at a friend’s house, I obviously asked for the recipe and with a bit of creativity I transformed it into a metabolically efficient version. 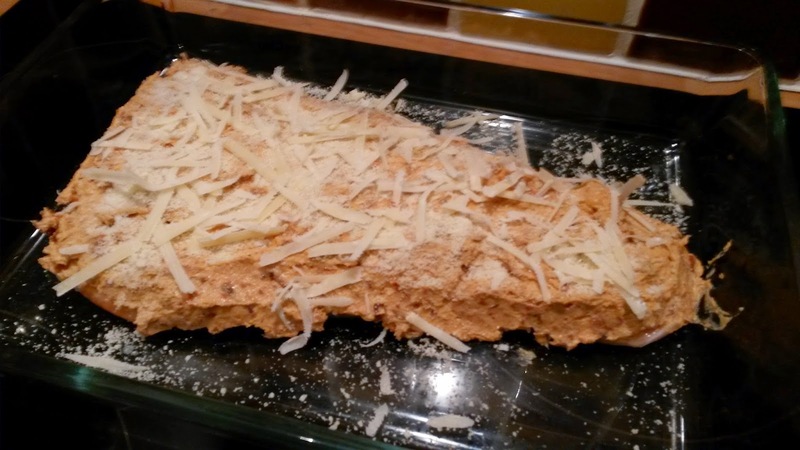 · 3 to 4 tbsp of Almond flour. Pre-heat the oven to 190C. Place the salmon side on a roasting dish and squeeze the juice of half a lemon on top, then season it with pepper. Using a food processor, place the sundried tomatoes and olive oil and blend it until it has formed a paste. Add the goat’s cheese to the mixture and pulse a few times until mixed. Using a spoon, spread the mixture evenly on top of the salmon then sprinkle the almond flour on top and lastly cover it with grated parmesan. Roast it for roughly 35min at 190C. Enjoy!